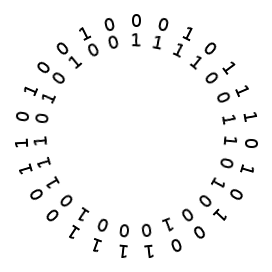 Take any number of zeros and any number of ones and place them in a circle, in any order. Reproduce the circle a second time, concentrically with the first. Rotate either circle, and any number of places. The number of zeros opposite ones will always be even. The post Turn, Turn, Turn appeared first on Futility Closet.